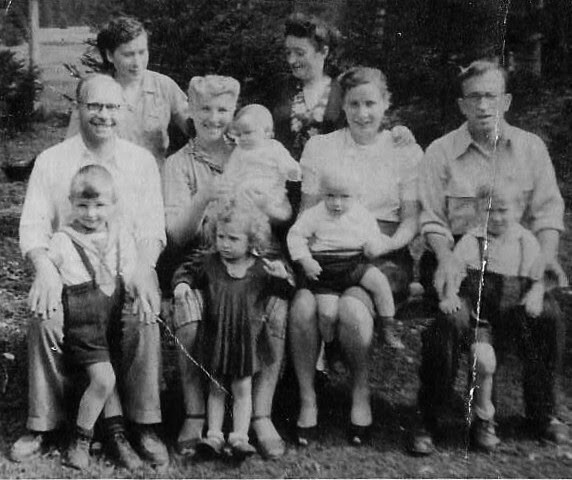 Migratory Notes co-founder Daniela Gerson wrote for Refugees Deeply about her family’s experiences as refugees in Germany after World War II and its Grand Hotel Cosmopolis, one of Europe’s most radical refugee experiments that could be under threat in a country taking an increasingly harsh line on immigration. In El Salvador’s Dry Corridor, extreme weather is forcing families who have farmed the land for decades to consider their children won’t be able to do the same. Anna-Catherine Brigida reports for The Weather Channel on farmers struggling to make their land viable for the next generation. When it doesn’t work, many consider immigration. “The worsening weather is forcing farmers to resort to ‘negative coping strategies,’ such as selling land, animals or tools, cutting back on what they eat and reducing the variety of their diet,” writes Brigida. “Immigration is an ‘extremely difficult and costly’ coping strategy.” The story is part of the ongoing glocal series called Exodus: The Climate Migration Crisis. Parents who were deported without their children could unknowingly lose custody and their child could be adopted by an American family, according to an AP investigation that delved into hundreds of court records and immigration interviews. “The couple signed a form promising they would not try to seek custody because the Office of Refugee Resettlement was legally responsible for the child,” Garance Burke and Martha Mendoza write following the agonizing case of two families. “But eight months later, fearing for the girl’s safety, that is exactly what they did.” Holes in the court system allow state court judges to give custody of migrant children to American families without notifying their parents. A Miami man lost his wallet and got a phone call from a do-gooder offering to return the wallet. That do-gooder turned out to be ICE, reports the Miami New Times, and now the man is detained and awaiting deportation proceedings. In California’s Central Valley, where undocumented farm workers and their families are the core of many communities, aggressive immigration enforcement has brought fear home. “Papá, I don’t think you should go to work today. I feel scared,” says one farmworker’s son — and his father listens. The California Sunday Magazine captures the fear in a photo essay. A memo obtained by Buzzfeed shows the extent to which ICE has taken on more aggressive tactics under Trump, from reopening previously closed deportation cases to issuing restrictions on which immigrants are eligible for deportation relief. An immigrant detainee called ICE’s helpline and confessed his suicidal thoughts weeks before killing himself after spending 19 days in solitary confinement, reports The Intercept. The man was detained at the Stewart Detention Center in Lumpkin, Georgia, which is run by CoreCivic. Hundreds of migrant families arrested by Border Patrol have been released over the last several days in Arizona, with some dropped off at local churches. Advocates attribute the releases to rules barring how long minors can be detained, reports the Arizona Daily Star. A Southwest Key shelter for migrant children was shut down following reports of child abuse by staff members, reports the Arizona Republic. An ad campaign in Guatemala run by the U.S. and Guatemalan governments warning migrants not to head north because of the danger of the journey has been ignored by thousands of people fleeing poverty or gang violence, reports The New York Times. ICE data shows that in the past year 42,757 Guatemalans were stopped at the U.S.-Mexico border. The Trump administration plans to transfer $20 million to the government of Mexico for the deportation of Central Americans who cross Mexico’s southern border on their way to the U.S., reports ABC News. The administration already moved the funds from the State Department to DHS, eliciting an uproar from some members of Congress who say the administration does not have authority over those funds. “You have decided to act contrary to years of practice and precedent, and in a manner that threatens to upend long-standing norms of comity between the Department of State and its oversight committees in Congress,” wrote Sens. Menendez and Leahy, in a letter to the president. Mexico has also protested and leaders there say they will not accept the money. ICE has been pushing into sites like schools and hospitals that used to be off-limits to their enforcement. Under Trump, Customs and Border Protection is doing the same in an increasingly broad area considered ‘the border.’ The Texas Tribune charts the agency’s expansion. DHS announced this week it would wave environmental laws in order to patch holes in a section of the Bush-era border fence, reports The Texas Tribune. Along the border, Trump’s wall is moving forward, and soon it will create a mostly impassable divide between the sister cities of El Paso and Juarez, reports El Diario de El Paso. This week, workers have started unloading steel tubes, cement and stone for the construction, say incredulous residents. Gov. Doug Ducey of Arizona is touting the state’s Border Strike Force as part of his reelection campaign, but the Arizona Republic reports that there is little independent information to verify his claims of the group’s successes in confiscating narcotics and arresting drug runners on the border. After the midterm elections, Paul Ryan is warning there will be a “big fight” over border wall funding, reports the AP. A high-stakes immigration case now before the Supreme Court could determine whether longtime undocumented immigrants with criminal convictions should have a chance at a bond hearing after they are detained (sometimes years after the crime and time served), reports The Atlantic. The Los Angeles Times reports that newly seated Justice Brett Kavanaugh is defending the status quo, which allows immigrants to be detained and deported years after being released from jail. The case in question, Nielsen v. Preap, will also be Kavanaugh’s first major case as a new justice. Federal drug trafficking prosecutions along the border hit a two-decade low, having dropped by 30 percent as resources were devoted to ‘zero tolerance,’ reports USA Today. The harder it becomes for foreign workers to get an H1-B visa to work in the U.S., the more Canada is offering talented immigrant tech workers a faster and easier path to its own Silicon Valley, reports The Mercury News. Politifact offers a quick visual primer on the five biggest trends in immigration ahead of the midterm election. For organizations like NDLON and Mijente, #AbolishICE is more than a slogan, reports Rewire and The New York Review of Books in its history of immigration organizing under both Obama and Trump. “Abolishing ICE isn’t just about rebelling. For me, my drive to abolish ICE comes from my understanding that there are resources that already exist that can help immigrants migrate and settle into the United States without first putting them behind bars, without criminalizing them,” says one organizer. As the Kremlin uses its military muscle to try to end the war in Syria, it wants nothing to do with displaced Syrians at home. Migratory Notes staff writer Yana Kunichoff reports for The Moscow Times on the legal limbo facing thousands of Syrian refugees in the Moscow region since Russian courts have ruled that the seven-year conflict is not reason enough to grant them asylum. Bavarians will go to the polls on October 14 in an election that will indicate how Germans feel about hard-line immigration policies that are changing how asylum seekers are treated. Augsburg, Germany is home to the Grand Hotel, one of Europe’s most radical refugee experiments that could be under threat in a country taking an increasingly harsh line on immigration. The town is also the hometown of Migratory Notes co-founder Daniela Gerson’s grandfather. Gerson traveled to Augsburg and found an uneasy tension between the Germany of the past, present and future. “The juxtaposition of this tolerant, generous nation and the pernicious shadow of its intolerant past were in stark relief,” writes Gerson in Refugees Deeply.